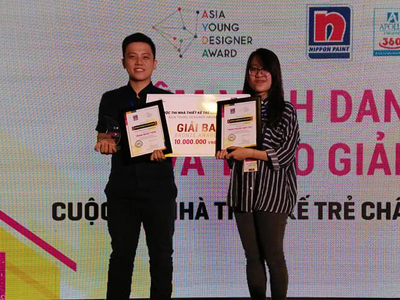 Tran Nhat Tien and Tran Phuoc Bao Thu, two students of class 14KT achieved great success in AYDA - The Asian Young Designer Award. "INSEE PRIZE 2018 - Sustainable Construction Award"
The INSEE PRIZE 2018 - Sustainable Construction Award is a creative playground for students who interested in researching in the fields of construction, urbanization, environment. The competition also encourages and honors initiatives of students towards sustainable development, contributing to community and social development. Group of students Tran Nhat Tien and Tran Phuoc Bao Thu, class 14KT, Faculty of Architecture won the first prize "Lighting decoration ideas for Tet Festival 2019" in Da. 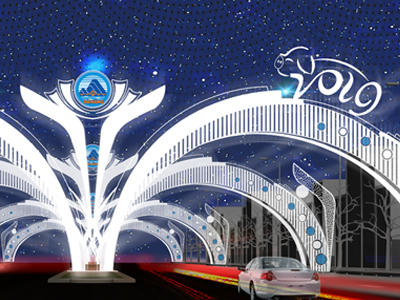 This competition was organized by the Department of Construction according to proposal of People`s Committee Chairman. 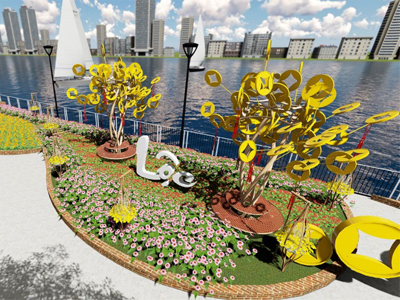 On March 5, 2018, Ngo Thanh Dao and Ho Ngoc Son, students of Faculty of architecture won with two highest awards (first prize and second prize) in the “Medal design award". 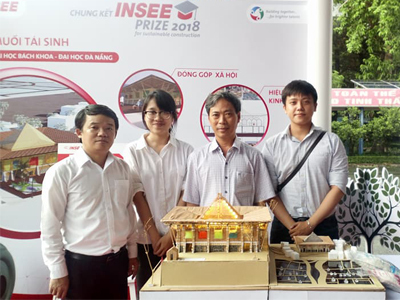 The competition was organized by the French-Vietnamese Academy of Architecture in cooperation with the French Consulate General in Ho Chi Minh City. With the topic of "Spring flowers", the group of authors including: Huynh Cong Vu, former student and Le Thanh Tai, student of 14KT, Faculty of Architecture, Danang University of Technology has won the first prize in the contest " Idea of flower decoration and lighting for the 2018 festival". The contest "School Design Solution for Deaf and Hard of Hearing"
Tran Nhat Tien, student of 14KT, won the contest "School Design Solution for Deaf and Hard of Hearing ". The contest was a part of the project " Social Integration Project 2017" which sponsored by Schmitz Stiftungen, the Federal Republic of Germany, implemented by Vietnam Society for Sustainable Development (VSSE).